Hypertension, or high blood pressure, can lead to countless other health complications, and because one in three adults suffer and just about half have the condition under control, healthcare professionals are always looking for ways to make things more manageable. Because diet is an integral part of maintaining a healthy blood pressure, researchers recently found that having nutrition classes in the grocery store was an effective method for helping consumers who suffer from hypertension make healthier choices. The researchers had 30 participants involved in the study, all between 18 and 60 years old, and they all had been diagnosed with hypertension. Both before the counseling sessions and after, the participants had their blood pressure taken and they completed a survey based on their day-to-day diets. The participants received three counseling sessions from two dietitians at one of three local grocery stores over the course of 12 weeks. The dietitians gave participants advice based on the DASH (Dietary Approaches to Stop Hypertension) diet and reported back to the participants’ doctors. 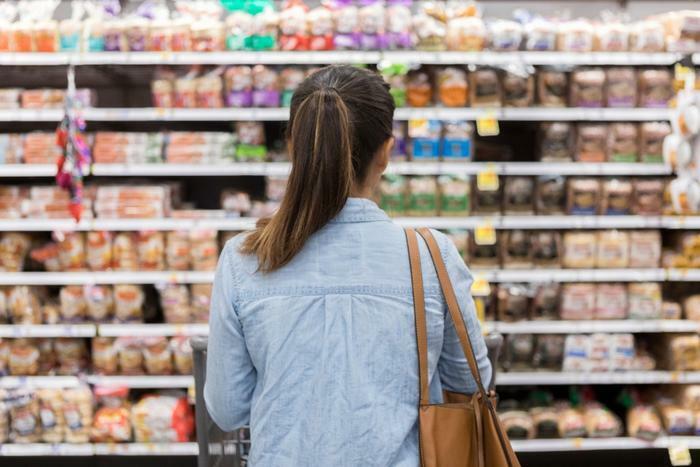 By the end of the three grocery store counseling sessions, the researchers found that the participants were making healthier food choices. The participants also reported taking their blood pressure medication regularly over the course of the study, and blood pressure readings were lower at the end of the 12 weeks. Participants were found to eat less saturated fat, sodium, discretionary fat, and empty calories, while eating more fruits, whole grains, refined grains, beans, and vegetables. The researchers were pleased with the results, and they think healthcare professionals should consider this method when trying to help patients with hypertension and other medical conditions. Recent studies have shown the importance of consumers making sure they maintain healthy blood pressures. For diabetics, this is of the utmost importance, as these consumers account for a large majority of hypertensive emergencies, which can ultimately lead to organ failure. Late last year, the American College of Cardiology (ACC) and American Heart Association (AHA) released new blood pressure guidelines that could help millions of people suffering with cardiovascular issues. The new guidelines would have many more people classified as having high blood pressure, which could lead to more patients using high blood pressure medication and doctors having more patients to monitor. The researchers predict that following the guidelines could prevent over three million cardiovascular issues.